Weird confession time: I’ve always secretly pined to be the person that ‘names’ paint colours. In fact, I had one rare opportunity in my real world job to do a similar activity where I named fabric swatches, and it was one of the highlights of my career at the time. Anyway I imagine the folks over at the Pantone Institute must have a ball when they get the chance to name their world-renowned numerical library of colours, which are the gold standard for designers and artists around the world looking for the perfect shade of blue, puce, or everything in between. Every year they select a ‘colour of the year‘ which ultimately both reflects and sets trends for the coming year. Case in point? 2011’s shade of choice was ‘Honeysuckle’, which worked its way onto the catwalk and into people’s homes as a result. 2012’s colour is, as you may have guessed, the title of this post: Tangerine Tango. A bright, reddish-orange hue, it’s sort of like 2011’s ‘Honeysuckle’ a few glasses of wine into the night – a little more bold and daring, full of energy and vigor. If YOU want to get a jump start on what will inevitably work its way onto the shelves in the next few months, here are five gift ideas inspired by the new year’s most exciting colour story to date. 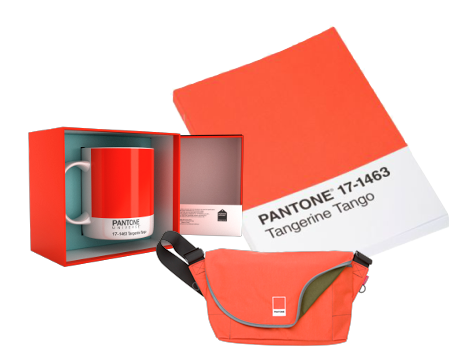 You can find Pantone products at a bunch of awesome gift shops in Canada, but I’ll send you straight to the source to buy the latest and hastily rolled out Tangerine Tango gift ideas for the designer-y folks in your life that actually know what a Pantone colour swatch is. Bold and bright, these are great ideas for coworkers, your spouse, or your best friend – particularly if they’ve just landed a new job in a marketing department or ad agency. Or hey. Maybe they just love the colour. 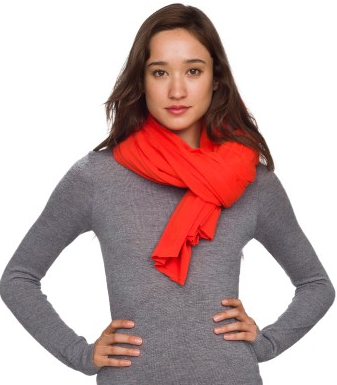 The infinity scarf has earned quite a loyal following as of late for its ability to be both fashionable – you can wear it in a dozen ways – and functional – multiple layers = extra warmth. 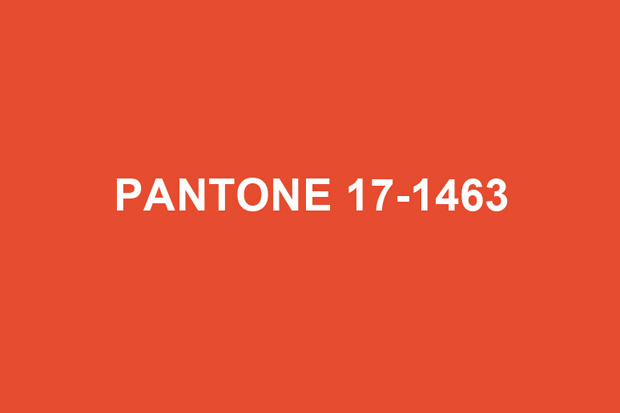 American Apparel’s rainbow array of colours is used to full effect with these winter warmers, including the bright orange shade above that easily channels Pantone 17-1463. As you can probably tell by this post, a bold shade like tangerine works best with a simple backdrop – stark whites and dim greys provide a blank canvas for electric orange. 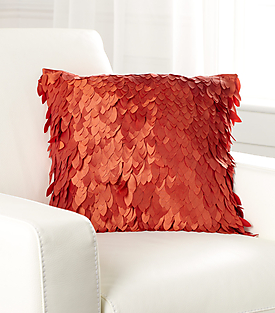 If you’re looking to bring a little light into a friend or family member’s home, give ’em something disposable to do it with: this crazy-affordable pillow from Quebec-based retailer Simons is a chic, affordable way to stay on-trend right here, right now. And when the year’s up? Simply replace it with something new. At this price, you can afford to. 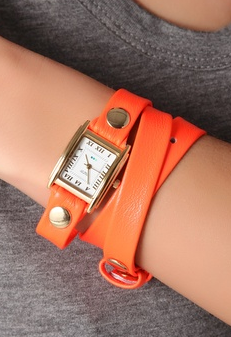 Fashionistas looking to get a jump start on the tangerine trend will love this fashion-forward and affordable leather wrap watch. It adds a pop of colour to just about any outfit, and is a somewhat subtle, stylish way to bring the shade into virtually any wardrobe. If your special lady has a birthday or anniversary coming up, consider gifting her with this vibrant accessory that can be topped up with a stack of thin gold bangles for extra bling appeal, or simply worn on its own. Before you go thinking that Tangerine Tango is but a flash in the pan, keep in mind that this colour has existed long before, and will be trendy for long after, its special year. 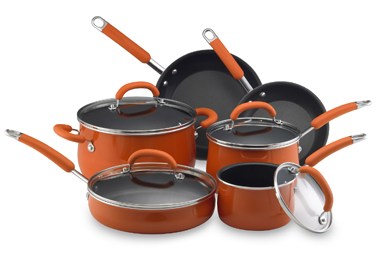 Rachel Ray’s cheery line of housewares has incorporated orange since its inception – from dramatic covered casserole dishes to sprightly silicone cooking utensils. Got a shower or a wedding to attend this year? Be the friend that brings something bold to the table.